On 24 and 25 of January 2015 Imam Hussein (a.s) mosque was hosting men from UK that after studying about Islam decided to convert to Islam. after concersion, they got some books as gift. 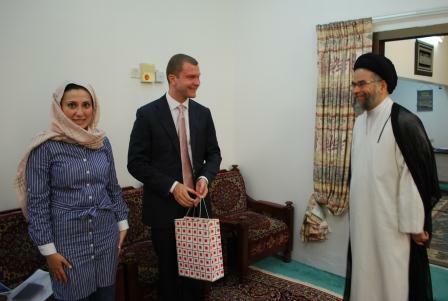 They attended to mosque's office and listened to the speech of Ayatollah Madani and then accept Islam as their religion.